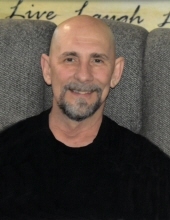 Thomas Jackson White was born March 1, 1960, in Houston, Missouri, to Robert and Cathy White, and passed away April 5, 2019, at his home in Mountain Grove, Missouri. He was 59 years, 1 month, and 4 days of age. Tom was raised in the Mountain Grove area, and graduated from Mountain Grove High School in 1978. After high school, he worked a variety of jobs, always wanting to learn different trades. Tom was always a hard worker and a dedicated man. In 1992, he decided to try his hand at trucking, and made a successful career driving over the road for 25 years. Working hard was always a priority for Tom, but family was even more of a priority, Tom worked hard to provide the best life he could for his family. Tom was preceded in death by his father, Robert White, one brother, Lawrence White, one sister, Phyllis Jean (White) Kennedy, a brother-in-law, Danny Cardwell, and two infant grandsons, Lucas Austin Stott and Bransyn Michel Daniel, and niece, Sandy Christine White. Tom was a very loved man. He is survived by his wife, Dawn, mother, Cathy White Cale, brother, Robert White and wife, Kim, three sisters, Becky Cardwell, Katherine Sechter and husband, Jim, and Beth Paull, son, Tommy White and wife, Jessica, son, Josh White, daughter, Christian White and partner, Bob Stott, daughter, Chellsea Carter and husband, Jason, daughter, Kearia Graham and husband, Billy, daughter, Darrah Spurlin and husband, Daniel, and son Cameron Fredrick. Tom was blessed with a house full of grandkids and was very proud to be their PaPa. He enjoyed every minute he could spend with them. He leaves behind Trayston, Elijah, Alyssa, Tyler, Kallie, Adrian, Cora, Delaina, Hailey, Preston, Bryer, Brody, Brantley, Braelynn, and Bradyn. Tom will be missed very much by his family and friends, and he has blessed us with lots of amazing memories. To send flowers or a remembrance gift to the family of Tom White, please visit our Tribute Store. "Email Address" would like to share the life celebration of Tom White. Click on the "link" to go to share a favorite memory or leave a condolence message for the family.